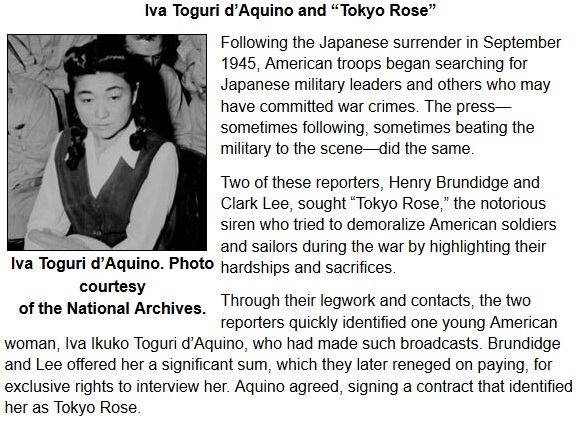 Iva Toguri D'Aquino was the woman who is identified with being Tokyo Rose, the woman who broadcast propaganda from Japan during the second world war. 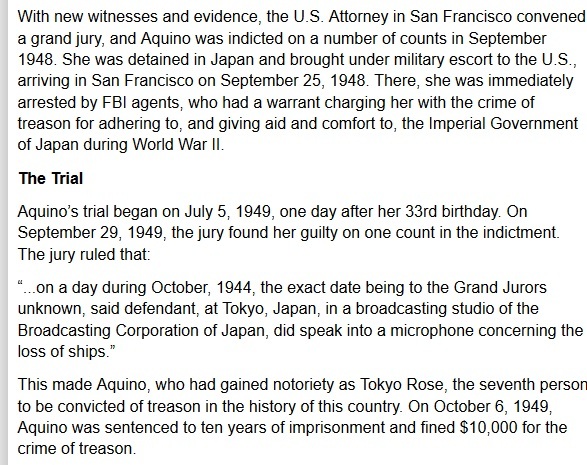 She was charged with treason after the war and was in prison for six years, yet there was abundant evidence that she was not the only female broadcaster at the time. Unpopular opinion, basically, is what led to her eventual conviction. 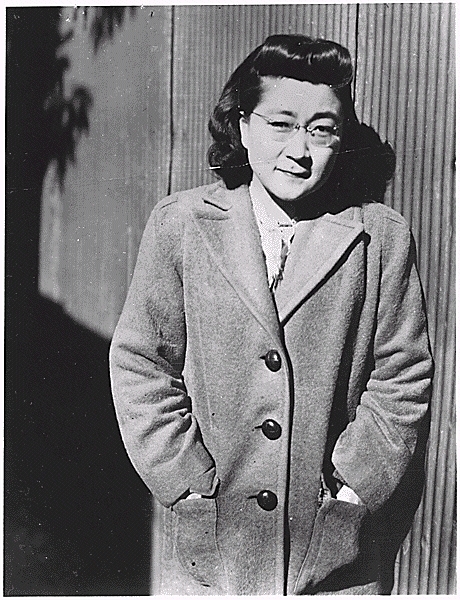 She used the name 'Orphan Ann' during the show, and broadcast comedy skits and introduced the news. 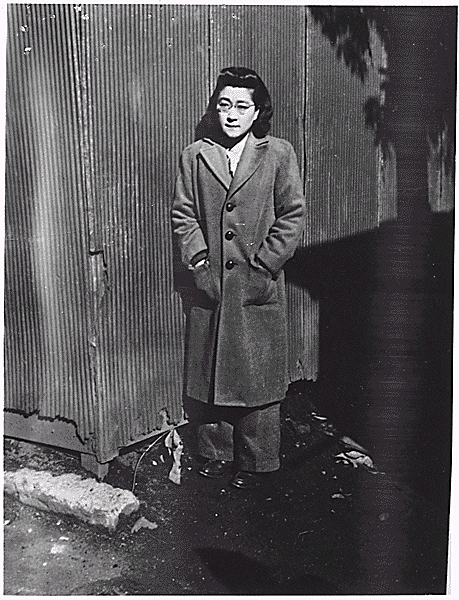 After the war she was investigated, but it was determine that there wasn't enough evidence to warrant prosecution. 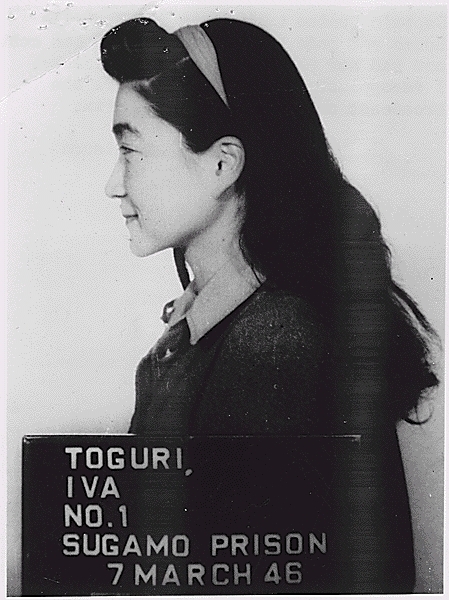 A public outcry in the US later led to her being arrested, though, tried, found guilty, and she was in prison for six years. 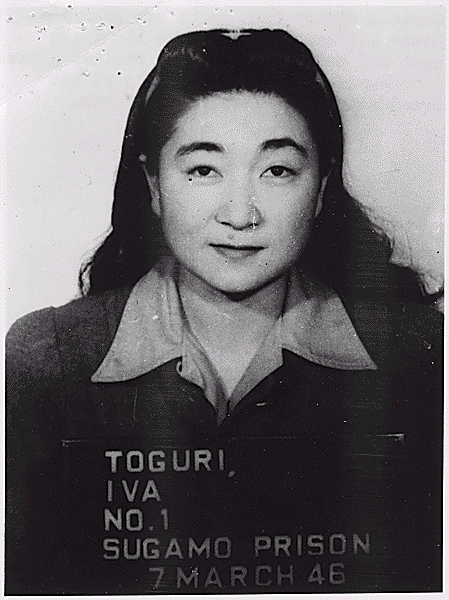 She eventually was pardoned of her 'crime,'' and she died in September of 2006 at the age of 90. 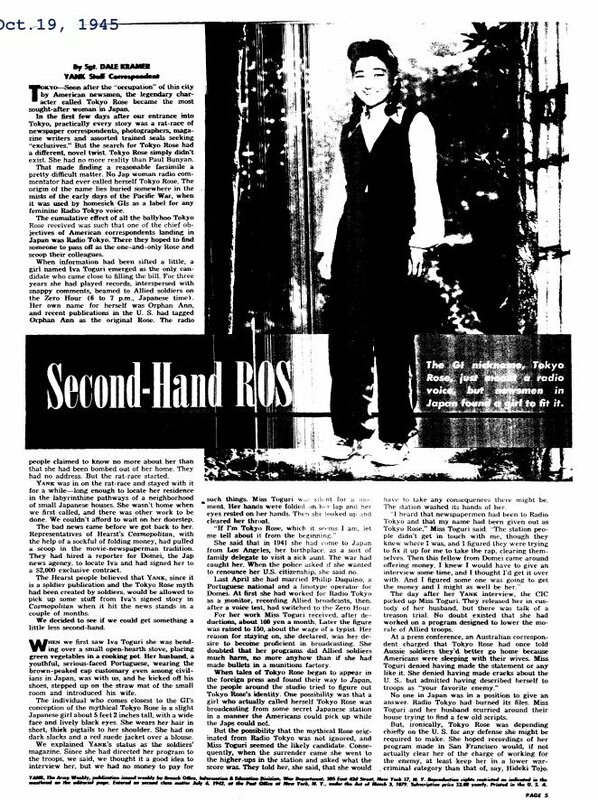 From Film & Radio Propaganda in World War II, 1983. Chapter 15 was written by Namikawa Ryo. 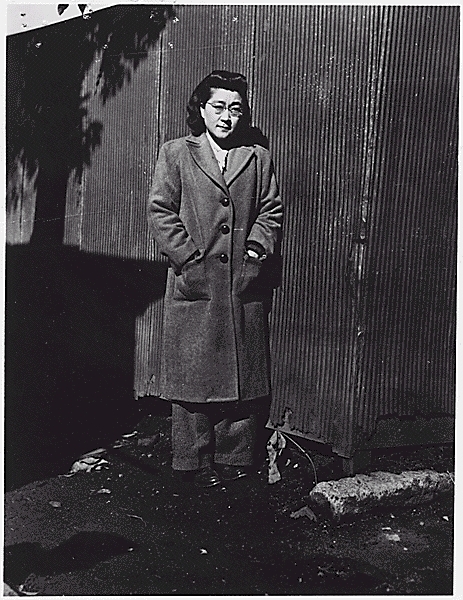 He worked at NHK during the war. He notes that this led to shock and surprise when Japan was defeated, and that led to 'Hatred of authority, of militarism' after the war. 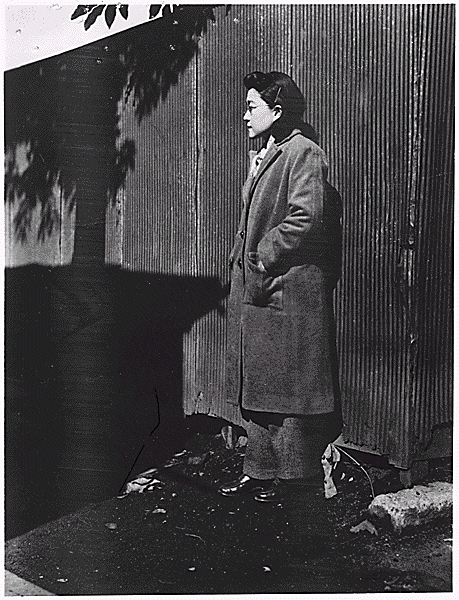 The NHK was also to use Prisoners-of-War to work on propaganda. 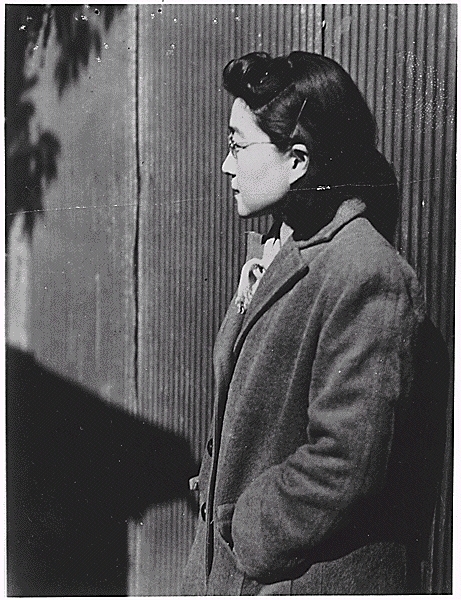 "Three Allied officers were selected and sent to Tokyo where they were assigned to the overseas broadcasting section of NHK. ...They worse suits and were treated the same as Japanese employees. Many books written after the war said that they were treated violently, but the fact is that they were subjected to no force, either physically or mentally." 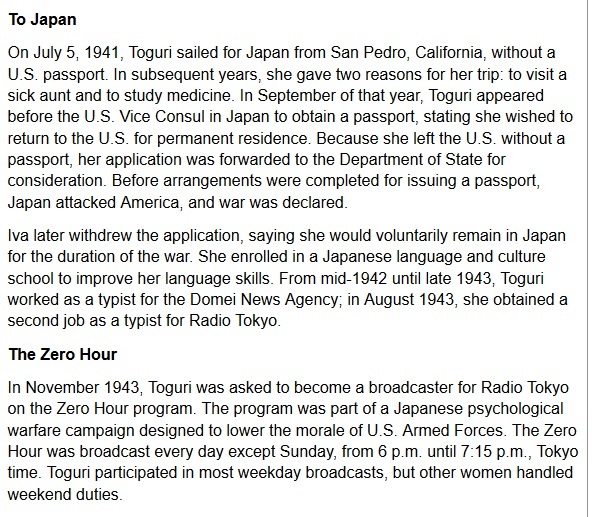 Then he goes into a history of the 'Zero Hour' radio show, which broadcast to U. S. troops in the field. He even includes a transcript from a show. The show included classic music, news, popular music, Jazz, and messages from war prisoners. 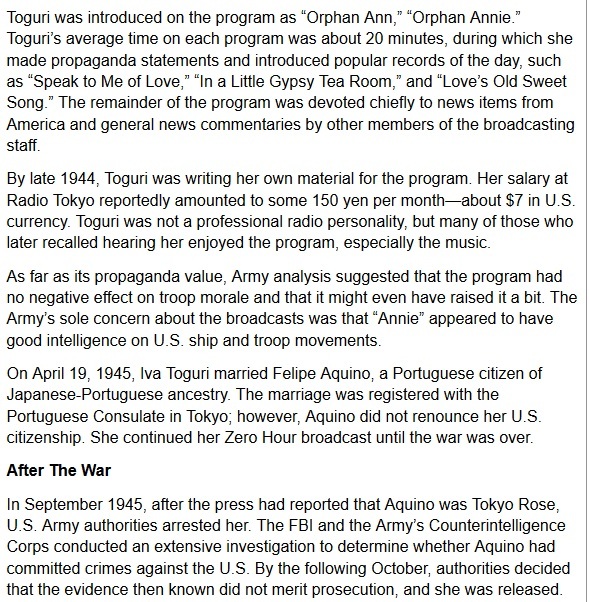 Records were played by 'Orphan Ann,'' who he identifies as Ikuko Toguri, known as Tokyo Rose. 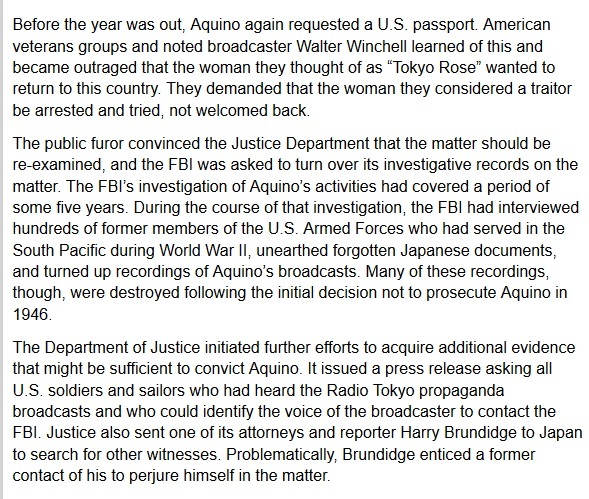 He again refers only to one Tokyo Rose, and not a group of women broadcasting under that generic name.